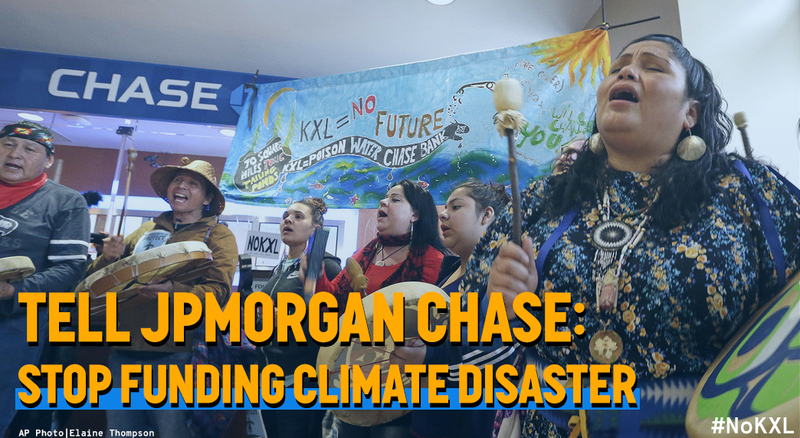 On Friday, December 14, JPMorgan Chase will decide whether to renew a $1.5 billion loan to TransCanada. Securing this loan will mean disaster for communities living in the path of TransCanada’s dangerous projects, including the Keystone XL pipeline, and for the climate as a whole. By signing this page, your message (on the right) will be sent directly to JPMorgan Chase executives, including CEO Jamie Dimon. Feel free to customize this letter, especially if you’re a Chase customer. By joining thousands of others in flooding their inboxes, you’re adding to a growing movement to cut off the fossil fuel industry’s funds. Please send a message today. 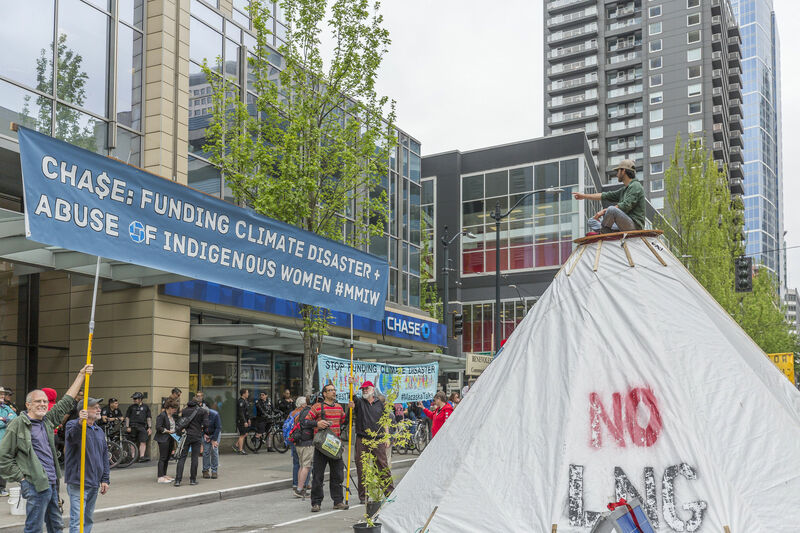 Thanks for sending an email to JPMorgan Chase urging them to deny TransCanada's loan renewal and stop funding fossil fuel companies altogether. On Friday, December 14, JPMorgan Chase will decide whether to renew a $1.5 billion loan to TransCanada. Securing this loan will mean disaster for communities living in the path of TransCanada’s dangerous projects, including the Keystone XL pipeline, and for the climate as a whole. By signing this page, your message (on the right) will be sent directly to JPMorgan Chase executives, including CEO Jamie Dimon. Feel free to customize this letter, especially if you’re a Chase customer. By joining thousands of others in flooding their inboxes, you’re adding to a growing movement to cut off the fossil fuel industry’s funds. Please send a message today.